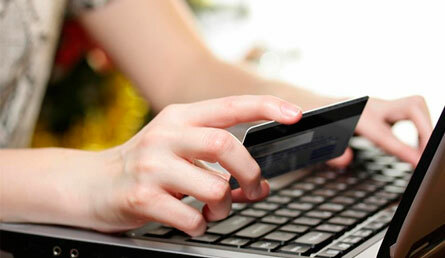 Personal account - a Representative's virtual wallet filled with funds that may be used to pay for orders. The funds’ keeping time is unlimited. "Amount Payable" shows the price of unpaid orders. 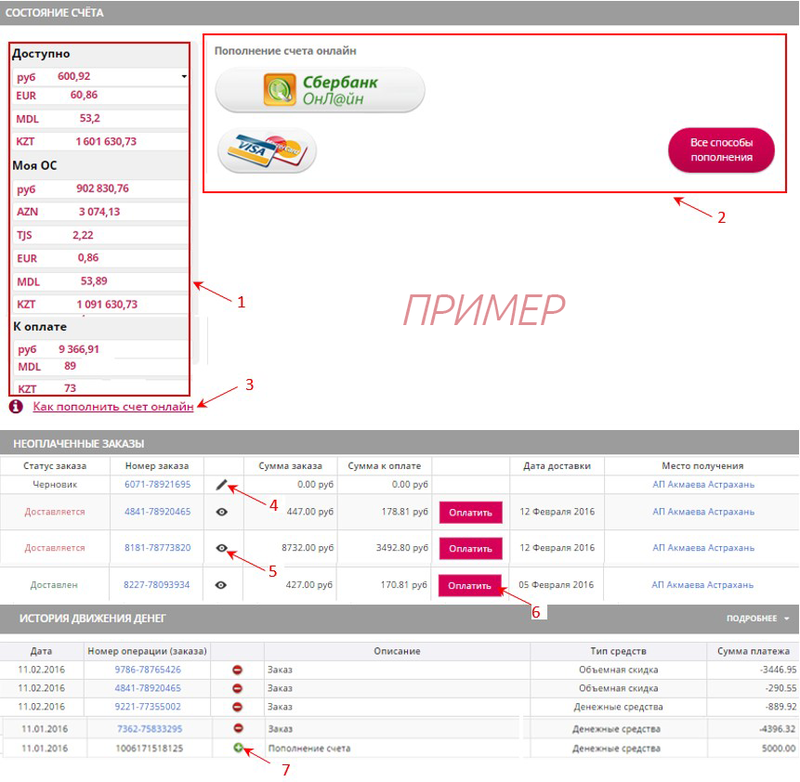 If you place orders in different currencies, sections "My VD" and "Amount Payable" will show the relevant breakdown. If you are going to make an order in the currency that differs from your national one, please replenish your account with a sum denominated in the respective currency and sufficient for your order. Pay for the order by pressing button 6. This block lists the most popular ways to replenish one’s account online. After pressing "All Replenishment Types", you'll find information about the currently available ways to replenish your Personal Account.